Coinciding with the Great Depression was the Dust Bowl, an eco-disaster created through a combination of drought and damaging agricultural practices. Farmers reported that their land literally blew away, forcing families from Nebraska to Texas to migrate. 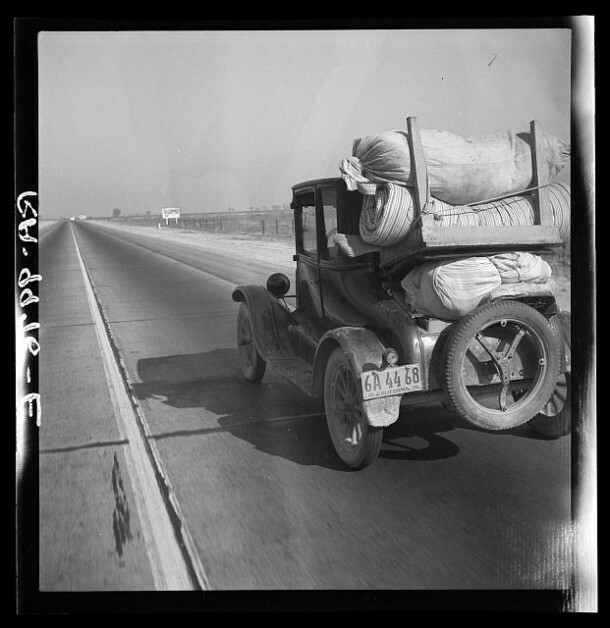 Dorothea Lange and her husband Paul S. Taylor documented the very start of the mass migration to California. The couple were the first to witness and to understand the causes of this huge migration of hundreds of thousands of people, according to Linda Gordon, professor of history at New York University and author of Dorothea Lange: A Life Beyond Limits.